Win a Once-in-a-Lifetime Extreme South American Adventure! Get the best of two extreme experiences in one incredible South American adventure. Enter the Go To Extremes sweepstakes and you and a guest will fly roundtrip from anywhere in the US, on LAN Airlines, to southern Chile. Your adventure begins aboard the Skorpios II, an expedition ship specifically designed to explore the magnificent glaciers, fjords and rivers of the Aysen Region. 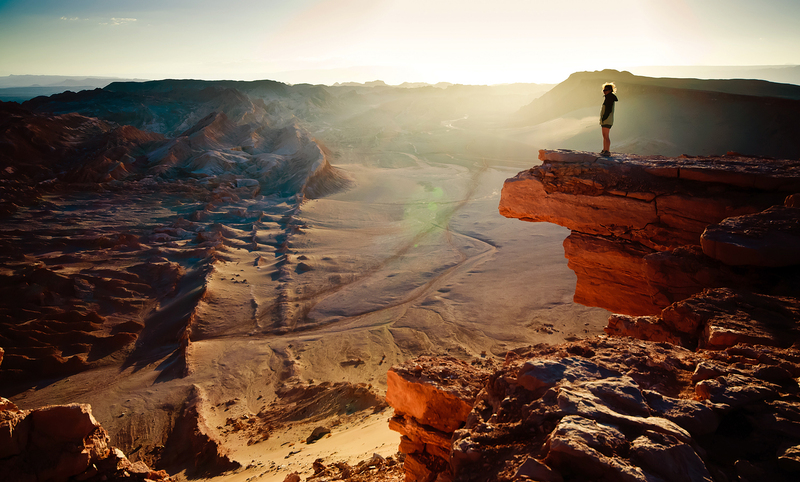 After five days on the ship, you’ll fly to the other extreme, the Atacama desert. Spanning over 600 miles of northern Chile, this is the driest place on the planet. Here you’ll bike, hike and explore amidst breath-taking scenery. Two extreme experiences in one extraordinary trip. Plus, you’ll be outfitted with Marmot gear to help thrive throughout your adventure. A 6-day, 5-night adventure cruise through lakes, channels and fjords of the Chilean Glaciers, that includes the largest ice fields ourside of Antartica and Greenland courtesy of M/V Skorpios II. Then a 6-day, 5-night bike and hike tour through the Atacama Desert from Marmot, Turismo Chile, LATAM and Southamerica.travel traversing he world’s driest desert, spanning over 600 miles. From geysers to volcanoes salt flats and the Andes Mountains you can see an array of the most incredible scenery in the world. Get To Know The Chilean Glaciers: Lakes, channels fjords, glaciersand the largest ice fields outside of Antartica and Greenland distinguish the Aysen Region of Chile. This sparsely populated region stretches for hundreds of miles along the Pacific coast in southern Chile. 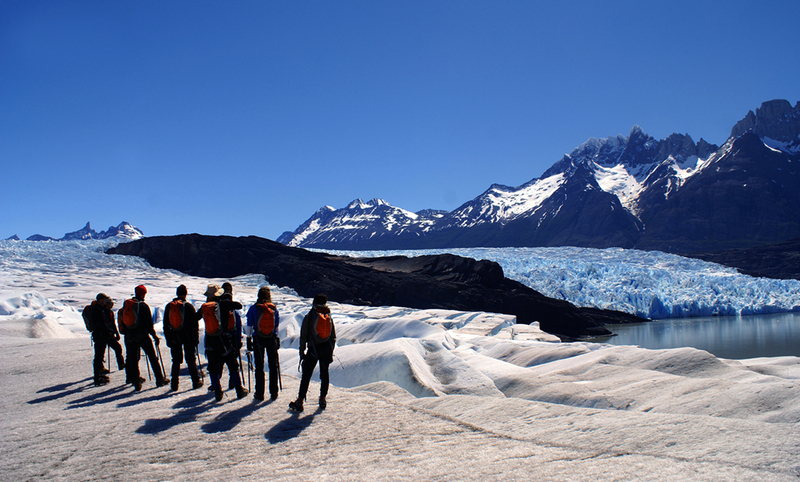 Aysen is home to the Northern Patagonia Ice Fields, as well as Laguna San Rafael National Park. Its breathtaking scenery, especially when observed by ship, make the region one of South America’s most distinctive destinations. Day 1: Sail through the Llanquihue archipelago and cross the Ancud Gulf, the archipelago of Chiloe and Corcovado Gulf. Day 2: Navigate through the Moraleda and Ferronave channels and sail to either Hualas Cove or Punta Leopardos. Day 3: Ship near the San Rafael Glacier for boat excursions (weather permitting). Day 4: Have breakfast at the Quitralco pier and have a chance to bathe in a pool fed natural hotspring in the morning. The afternoon includes boat excursions through the inside of a fjord. Day 5: Cross the Corcovado Gulf and explore the city of Castro before embarking for Puerto Monit. Day 6: Fly from Puerto Monti to Santiago. Trade the glaciers for the desert and the water for sand. Get To Know The Atacama Desert: Located in northern Chile and spanning over 600 miles, the Atacama Desert is the world’s driest. There are parts of it that have never seen rain in recorded history. Its innate harshness and inhospitable nature, however, make for some of the most spectacular scenery Mother Nature has to offer. Atacama’s geysers, volcanoes, salt flats and Andes Mountains are absolutely stunning. But the desert is hardly barren; hundreds of species and over a million people manage to survive there in this extraordinary spot on the planet. Day 7: Arrive at Calama’s airportand travel to San Pedro de Atacama, a charming oasis village in the Atacama Desert. Day 8: Bike through the Atacama Desert in the morning and hike in the evening to the statuesque Moon Valley to take in the sunset. Day 9: Visit the Tatio Geyers, the most important geothermal fields in the world. Day 10: Board a flight to Santiago and arrive at the beautiful Hotel Altiplanico Bellas Artes then spend the afternoon on a bike tour around old Santiago. Day 11: A full day of trekking through either El Morado National Park or La Campana National Park.